Why, hello. It's so nice of you to join us. I'm not trying to make you feel guilty, but... we've been waiting for you. I appreciate that you're always on schedule, but I wouldn't mind it if you showed up early to the party every once in awhile. I'm an awfully good planner, so I'd be happy to discuss how we can make this happen. Thoughts? That would be me using an old name tag of my dad's from eons ago (1980?) as a 'stache. It's one of my finer, sexier looks, no? I wrote my first guest post over at 5ohWifey yesterday! 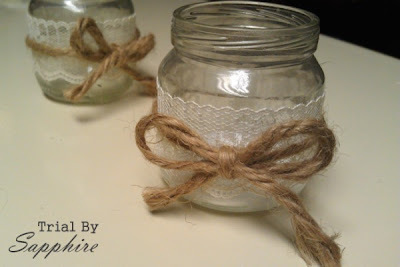 I shared Part 2 of my DIY Wedding series. Did you see it? How did I do? Have any feedback before I write my next guest post? Can you say tax refund? Why, yes, I can. TAX REFUND! Which needs to hurry its sweet behind to us. Certified organic and cruelty-free? Now we're talkin'! I won a giveaway at Miss Kait Online last week! I finally decided what I wanted from the shop of isavirtue, and my package was sent today. I can't wait to get it, and of course, I'll be sharing the goods with you as soon as I do! This picture of Boone made me think of Homer's Odyssey and how much I loved that book! 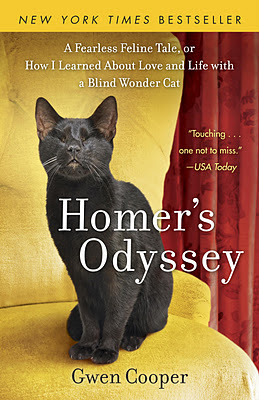 If you love cats, you'll love this true story of "the blind wondercat"! 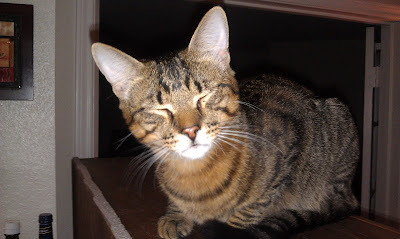 If you don't like cats, clearly, you haven't met mine. And for all of you fancy spring break have-ers, have fun and play safely! ha love your fives - and your letter made me laugh, you are adorable. just found your blog and i definitely want to follow and see more! xoxo hope you have a good weekend! I LOVE EOS chap stick! Its so great! 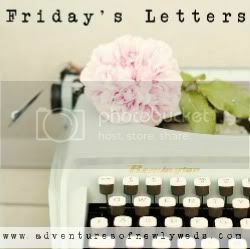 I read your post over at 5ohWifey and just loved it! Love that series youre doing!! I like lip gloss and lip balm too. I am such an addict! Okay I need to try those EOS lip balm. I have always loved Burt's Bees but maybe this would be good too. I have a problem with collecting lip balm too (mostly because I'm always losing it!) That's funny, I just bought eos in summer fruit the other day... so far so good! I just bought some of that egg lip balm, too! I've only used it once and I'm gonna go ahead and admit that I feel so weird holding it up to my mouth...just me?! haha! That lip balm looks seriously awesome. Personally, I love my Burt's Bees tinted lip balm. I needs me a little color with my moisture! P.S. you're so adorable. And I love the hat you're wearing in your picture! Love the lip gloss!! Love your blog! Ahhhh, we are anxiously awaiting our tax refund, too!! Please hurry!!! Great blog. Nice format, well-written, interesting content from an insightful point of view! I am in love with those lip balms.. in fact I took them for everyone when I visited home last year.. and they liked them so much they asked if I had leftovers so they can have seconds. I can't tell you how much I love my eos lip balm!! It lasts forever, too! !